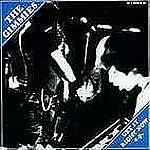 www.kamikaze-records.de - Online Shop - Gimmies, The - Get It Right Now 7"
From Japan comes another onslaught of in your face rock 'n' roll. These guys keep the spirit of the sadly missed TEENGENERATE alive. MAXIMUMROCKNROLL described them as a mix of the LAZY COWGIRLS and a typical RIP OFF band.